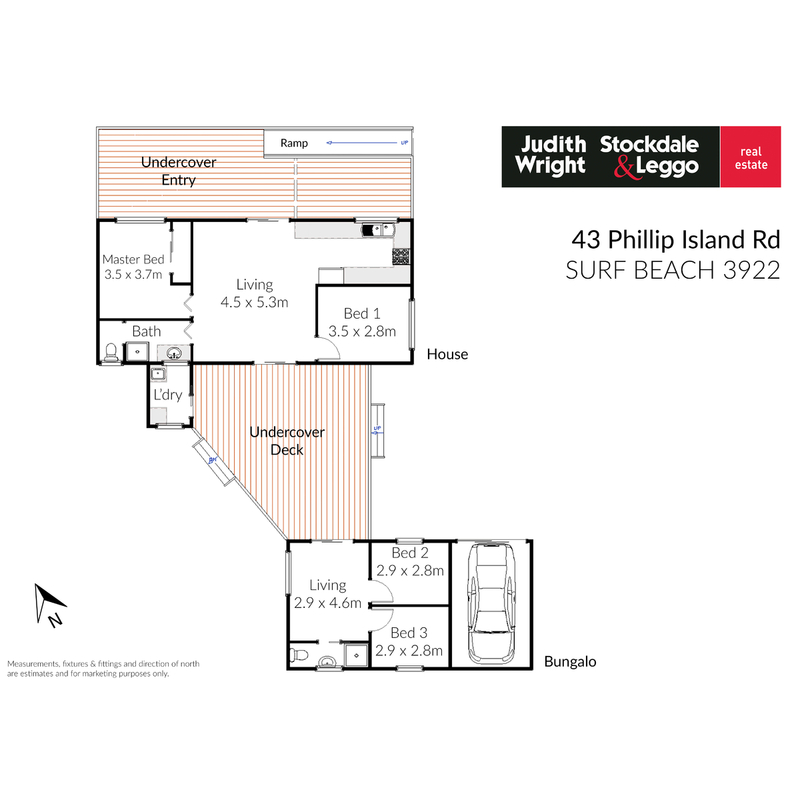 This property offers dual living options and presents a wonderful investment opportunity in the heart of Phillip Island’s highly sought after and tightly held position in Surf Beach. The home has been recently renovated with all the comforts and quality fittings throughout. Cleverly designed, with a well thought out use of space, the property offers two living quarters which are seamlessly joined by a spacious undercover entertaining deck. The main home comprises a light filled open plan living area, well-appointed kitchen with stainless steel appliances and freestanding oven and gas cooktop, new bathroom and two carpeted bedrooms with built in robes. The second pavilion encompasses a second living area and bathroom plus two further bedrooms. The two zones offer a multitude of options; an ideal holiday home for two families, spacious family living, plus guest house or granny flat. Complete with low maintenance gardens and single lock up garage this is a surprising home that will exceed your expectations. Arrange your inspection today.